Inspiration has been a major force in my life, driving me to continually improve and better myself. I have been inspired by my family, friends, bosses, celebrities, quotes, movies and books. What I’ve learned from these inspirational people, stories and events is that I have the power within me to face a challenge and get through it. When you’re inspired, you are often drawn towards an answer. Sometimes it triggers something that sparks your heart. You are pulled – not pushed – to take action on next steps. 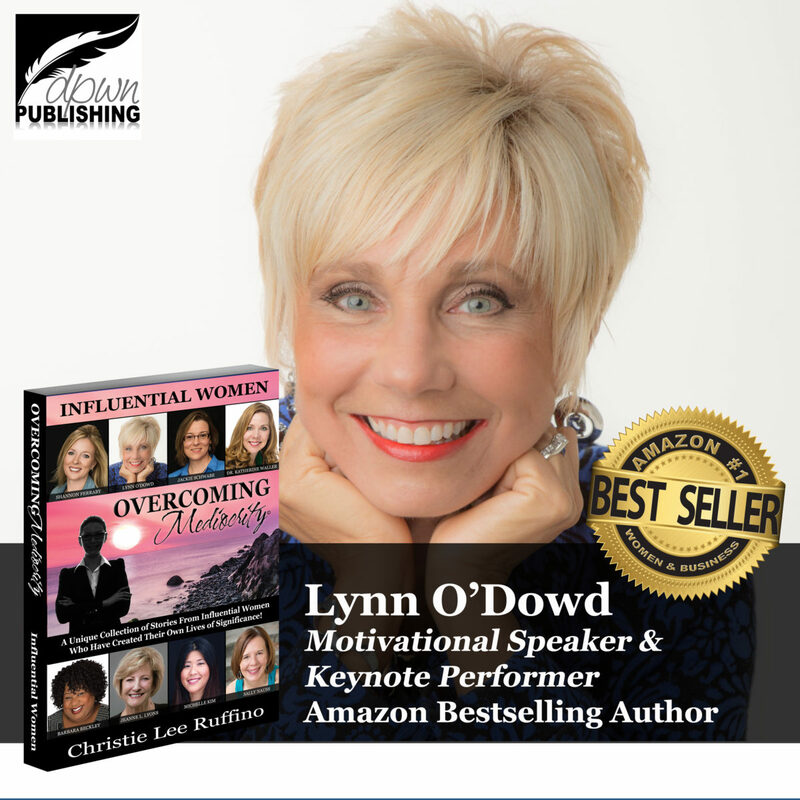 I recently had the honor to be included in the Amazon #1 Best Seller book Overcoming Mediocrity: Influential Women. I am one of 16 women featured in this inspiring book about living a meaningful and impactful life. The stories in this book are about strength, faith, and courage. More important, these stories are about what it means to believe in ourselves, even when those we love don’t, and to overcome those self-sabotaging beliefs to create an empowered life. When we are inspired to conquer our fears and overcome our procrastination, we build what I like to call our “courage muscle” and try things that are hard, even when we may not want to. We can use inspirational resources to remain resilient through all of life’s ups and downs. Overcoming Mediocrity: Influential Women is a unique collection of inspiring stories from women who have created their own lives of significance. I invite you to give yourself credit for all you have done, and what you have learned along the way. I invite you to inspire others by sharing your story because you never know who might be touched by your actions.